"I do this one-month contract, and all of us can move to a better place. See you when I see you." This just looks too damn good, can't help but share this trailer. The Beacon is a mesmerizing new sci-fi short film made by VFX artist Chris Staehler, his second short after working in the visual effects industry for almost 10 years. 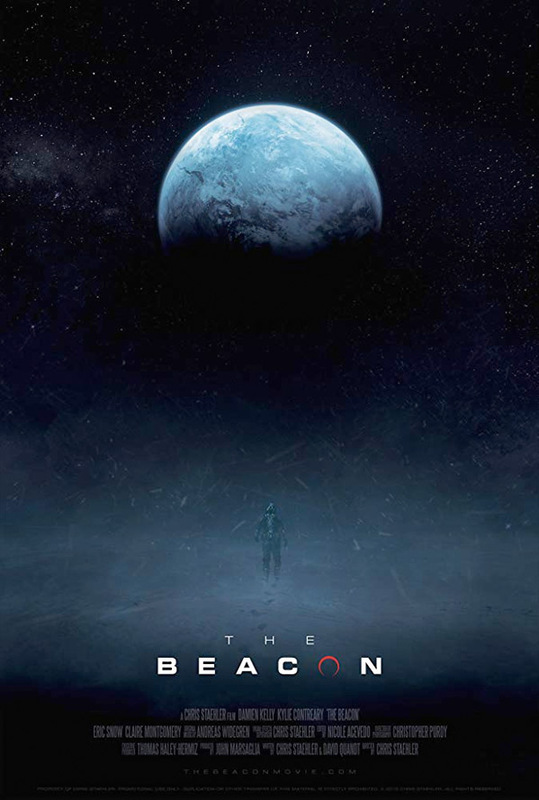 Set in the distant future, Staehler's short film The Beacon is about Mark and Kara Verne - both young shipping pilots who are struggling to make ends meet. When Kara goes missing months after taking a large interstellar contract, Mark travels to the far reaches of the galaxy in search of her. Starring Damien Kelly, Kylie Contreary, Eric Snow, and Claire Montegomery. It's no surprise the VFX look incredible, which enhance the story of these travelers. I'm really looking forward to seeing the short (which runs 25 minutes). The Beacon is set in the far future where humanity has spread across a large portion of the Milky Way galaxy, Mark and Kara Verne are both young shipping pilots struggling to make ends meet. When Kara goes missing months after taking a large interstellar contract, Mark travels out to the far reaches of the galaxy in search of his wife. The Beacon is directed by up-and-coming filmmaker Chris Staehler, a visual effects artist based in LA trying his hand at filmmaking next. See more of his work on Vimeo. The script is by David Quandt and Chris Staehler. Featuring cinematography by Christopher P. Purdy, and original music by Andreas Widegren. For more info on the project, visit the official website. The short is expected to debut online later this year, after playing at fests like the Hollyshorts Film Festival. To see more shorts, click here.